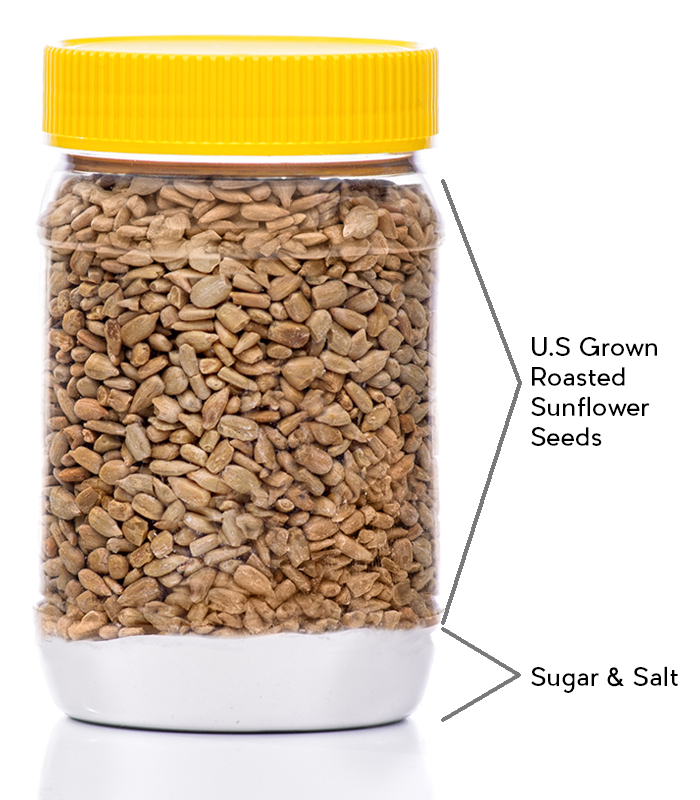 SunButter Natural is a natural, simple, delicious sunflower butter. 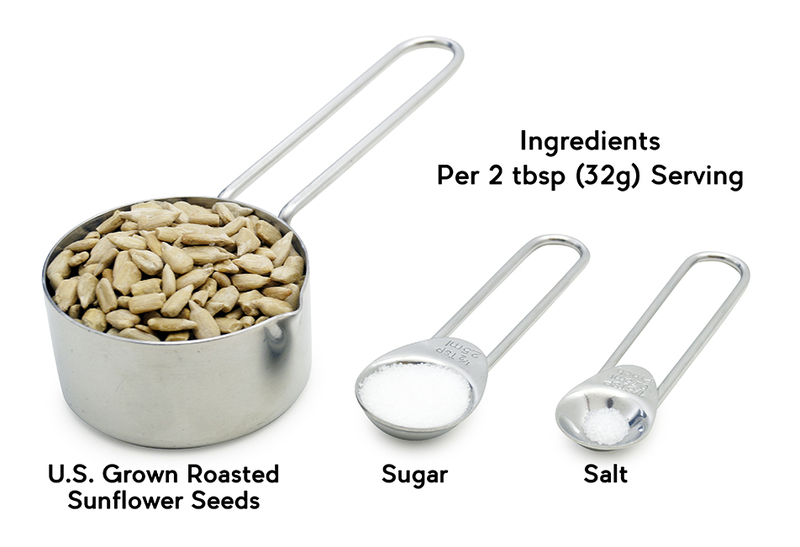 With 7 grams of protein and more vitamins and minerals than nut butter, it provides nutritional punch and safe, great-tasting fuel for your family’s lifestyle. 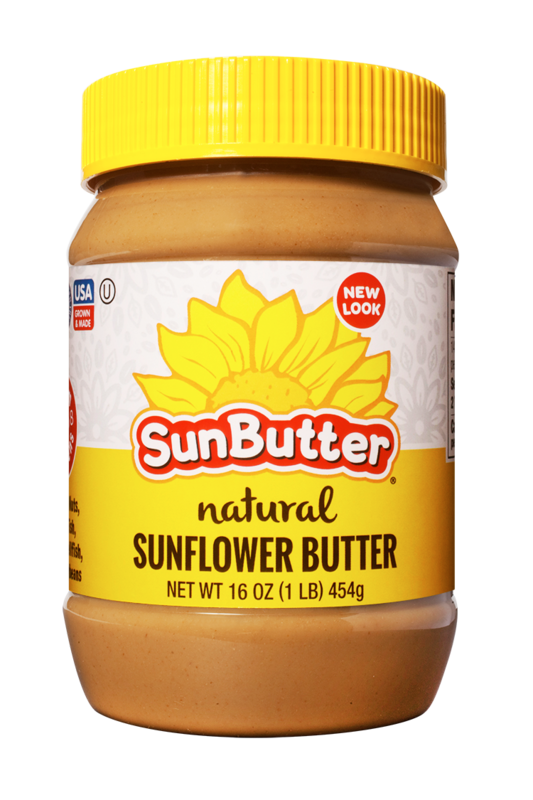 Served alone, paired with a favorite jam or jelly, or used in a variety of peanut and tree nut free recipes, SunButter Natural is a crowd pleaser – naturally! 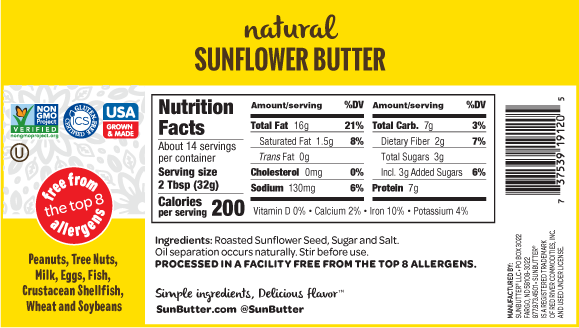 Because SunButter Natural is an all natural sunflower spread, separation may occur. Be sure to stir thoroughly.